Inbound marketing is one element of Internet marketing that can be effective in raising awareness of and interest in a brand or business. 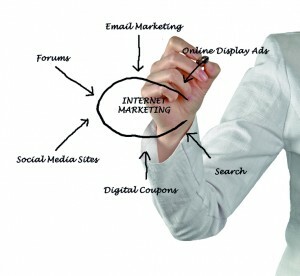 Continuing from What Is Internet Marketing? (Part 1), here, we will continue discussing some of the fundamental aspects of Internet marketing for businesses and brands. While Part 1 of this blog was focused on the specific Internet marketing approaches of social media marketing and search engine-based marketing, here in Part 2, we will take a closer look at inbound marketing and other forms of online marketing, display marketing and affiliate marketing. Inbound marketing – This refers to the practice of using blogs, videos, newsletters and other forms of meaningful content to capture potential customers’ attention and, ideally, bring them closer to a brand, business or product.Unlike the traditional form of outbound marketing, which typically involved TV ads, telemarketing, flyering and other more intrusive practices, inbound marketing is based on the concept that a business or brand wants to earn its way into customers’ scope of focus by providing them with useful information and meaningful content (rather than invade customers’ realm of focus via obtrusive means as outbound marketing does). In other words, instead of the approach being geared towards projecting a message out in the faces of customers (who may not necessarily be receptive to the marketing message), inbound marketing looks to draw customers in via information that they find useful and interesting. Consequently, inbound marketing is often in-line with the concept of permission marketing, and it tends to be far less expensive and yet more effective than outbound marketing techniques. Additional marketing approaches – In addition to inbound marketing, social media marketing and search engine-based marketing, Internet marketing can include other approaches and strategies, including (but not limited to) display marketing (using banners or buttons within a content page to advertise a specific product or service) and affiliate marketing (advertising a business or brand with banners posted on another company’s website). A comprehensive, effective Internet marketing strategy for a business or brand will involve the interplay of both of the above-mentioned approaches (as well as the elements discussed in Part 1 of this blog). Additionally, it’s important to point that in general, a business’ or brand’s Internet marketing strategy should never be stagnant; instead, it should be constantly evolving to remain relevant and on the cutting edge of the latest changes and developments in the online sphere.